Nowhere showcases William Blake’s “green and pleasant land” better than the utterly charming Sussex Ox near Alfriston in East Sussex. 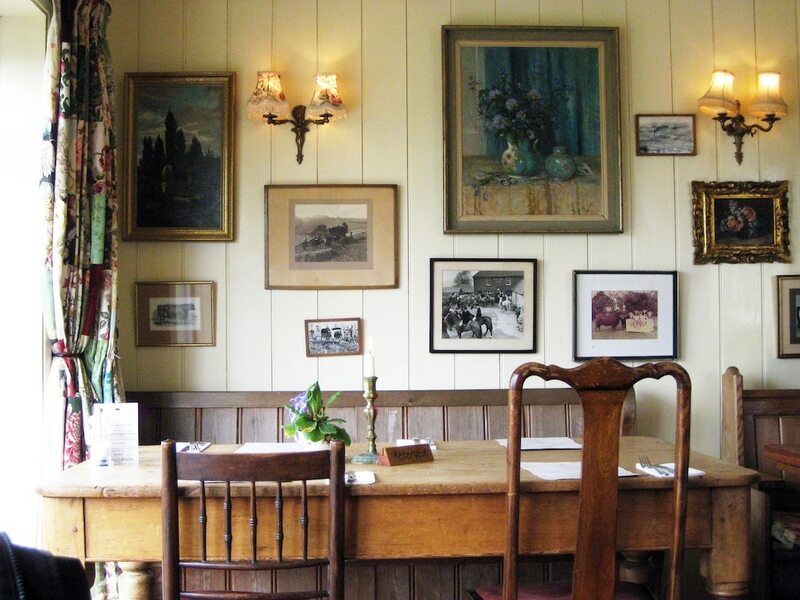 The Sussex Ox is a large, traditional, family–friendly country pub, with its own organic farm, serving the very finest local food and drink. 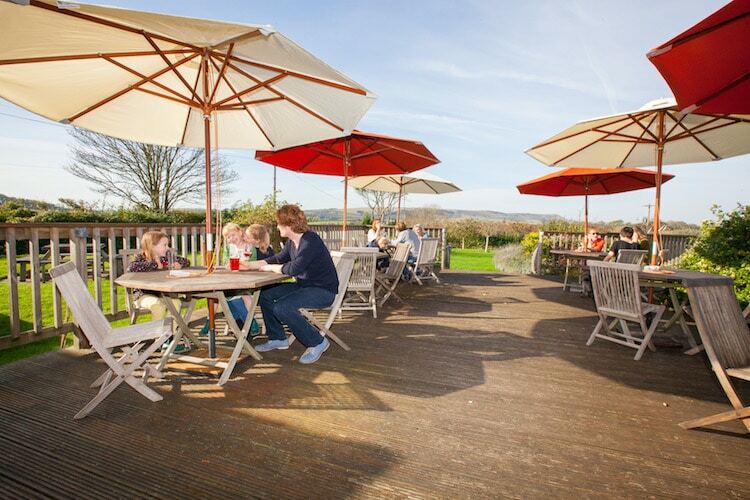 It lies within the South Downs National Park an easy 25-minute drive from Brighton. 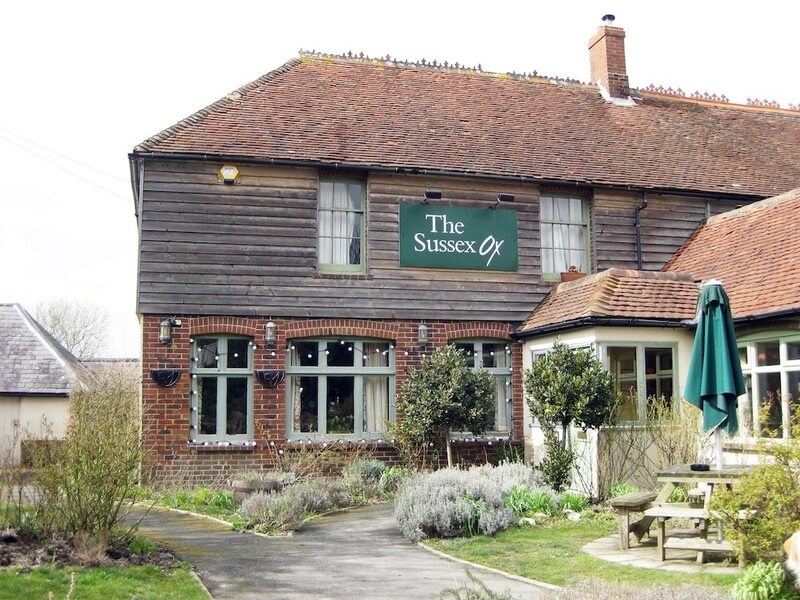 Over the last 70 years four generations of one family have lived and worked at the Sussex Ox and their pride and care is evident. 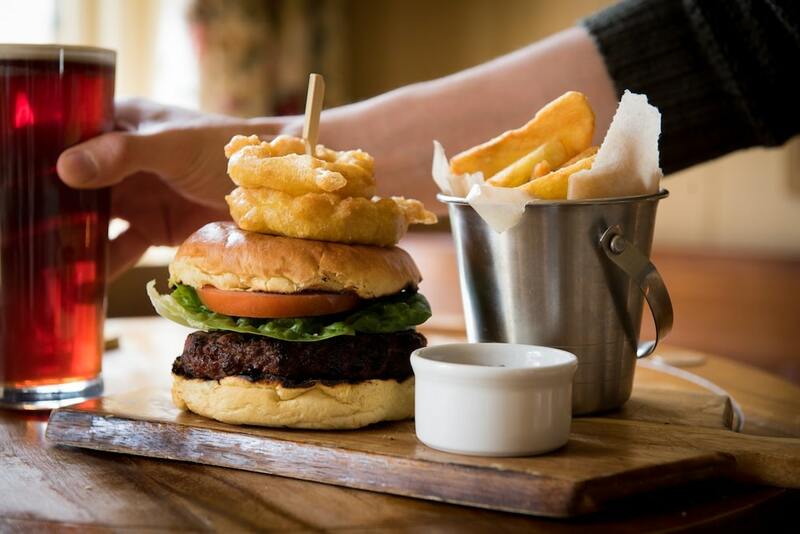 When they say they serve the finest local produce they’re not kidding, beef comes from their own herd of cattle and lamb comes from their own flock of sheep. 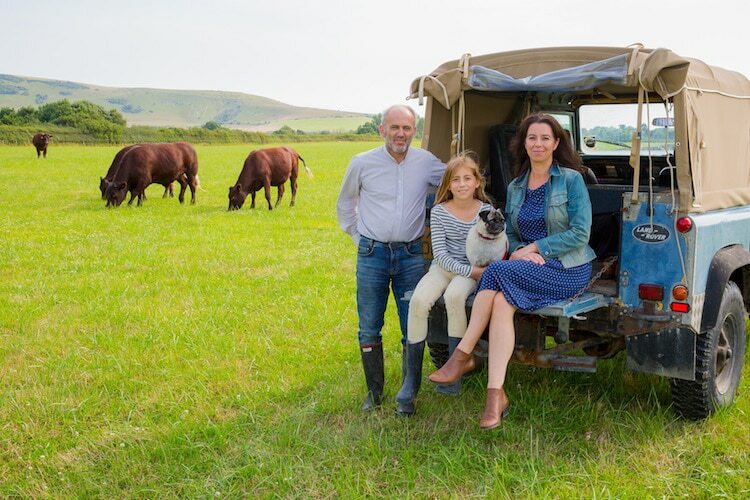 In fact, The Sussex Ox sits right at the heart of its own organic farm, which supplies a good deal of the meat on the menu and is also one of the few commercial organic potato growers in East Sussex. Ingredients that come from the farm are marked on the menu, which was brilliant because we really wanted to sample the farm’s produce. 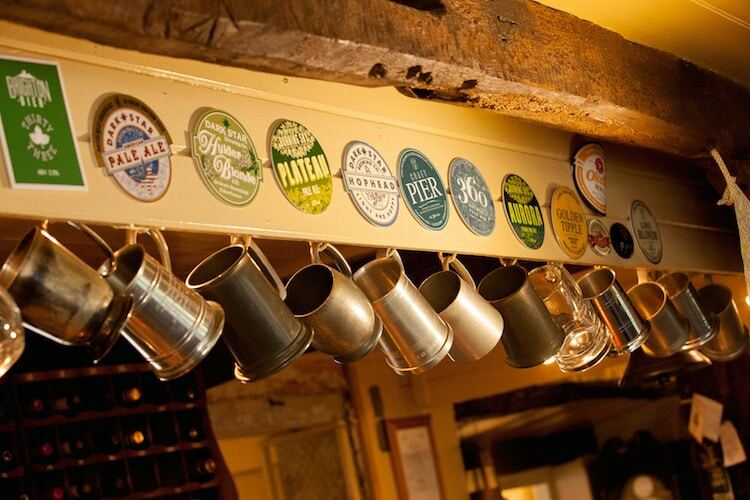 They source only the best local and national beers and ciders, including real ales from the nearby Long Man Brewery, as well as a range of award–winning craft beers and ciders from around the country. The wine list is hand selected and regularly updated, with emphasis on natural, organic, and bio-dynamic wines. 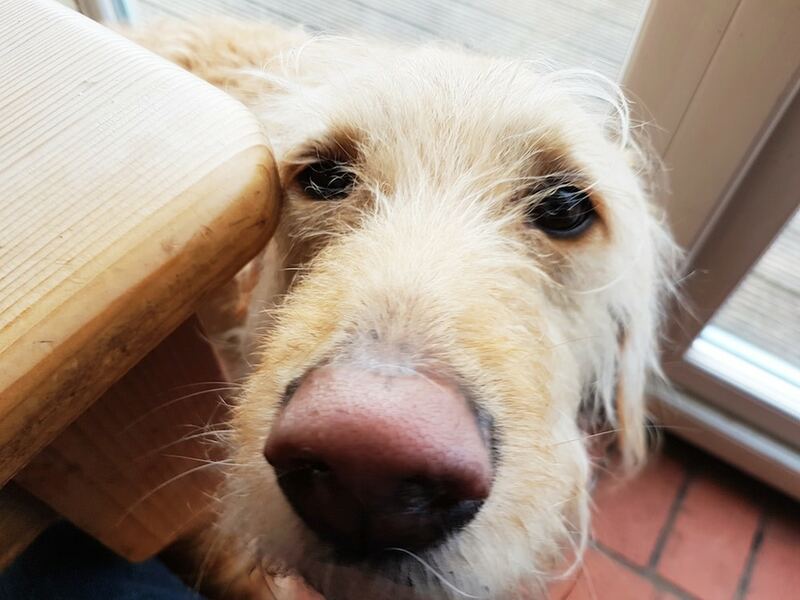 The Sussex Ox welcomes dogs and is a stone’s throw from The South Downs Way so there are plenty of exceptionally picturesque walking routes to help you build up your appetite and wear out your faithful friend. With Drusilla’s zoo a short drive away there is something for the whole family and you could happily make a day of it. As we parked up and stepped out of the car we were instantly struck by how peaceful it was. You can’t help but just stop for a moment, breathe in the fresh air and breathe out the stresses of the week. We were warmly welcomed and led through to our table next to the large French doors looking out across the decked terrace, huge garden and beautiful Cuckmere Valley beyond. 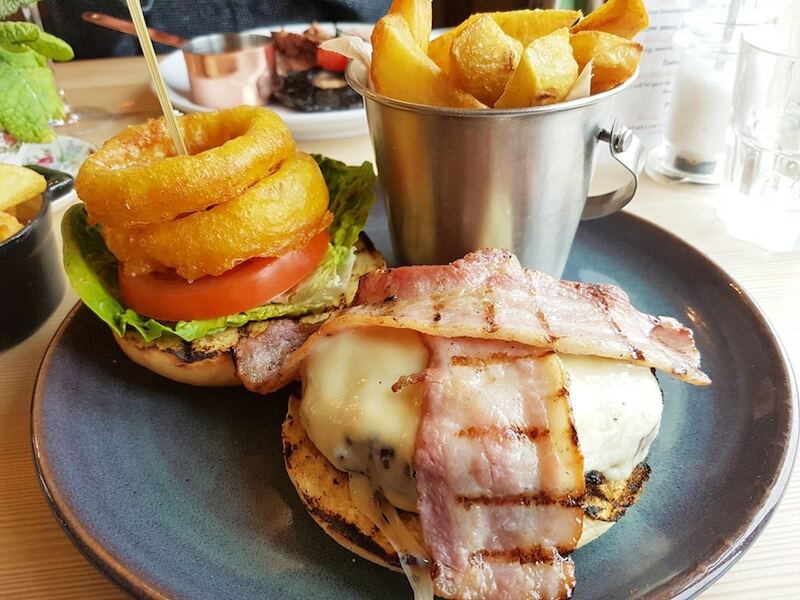 Our fellow diners all seemed to be talking about how good the food was and the sight of all those delicious looking dishes being carried to their tables definitely got us in the mood for lunch. 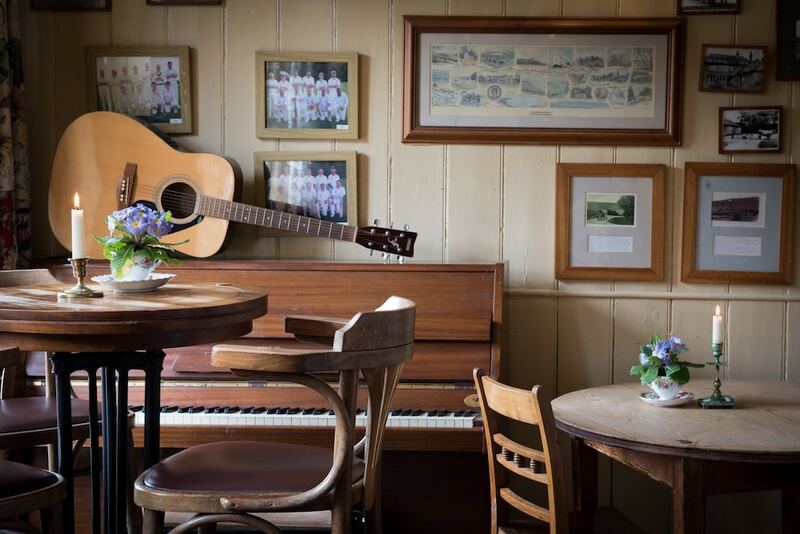 Soothing cream coloured tongue and groove walls were decorated with a mix of pleasing artwork and fantastic old black and white photos, and comfortable wooden furniture sat on a distinctive brick floor. It was bright and airy, lovely and warm and the acoustics were just right. We settled in with a glass of white and a pint of Longman’s best. For his starter Andrew chose the Black pudding scotched duck egg with Piccalilli. 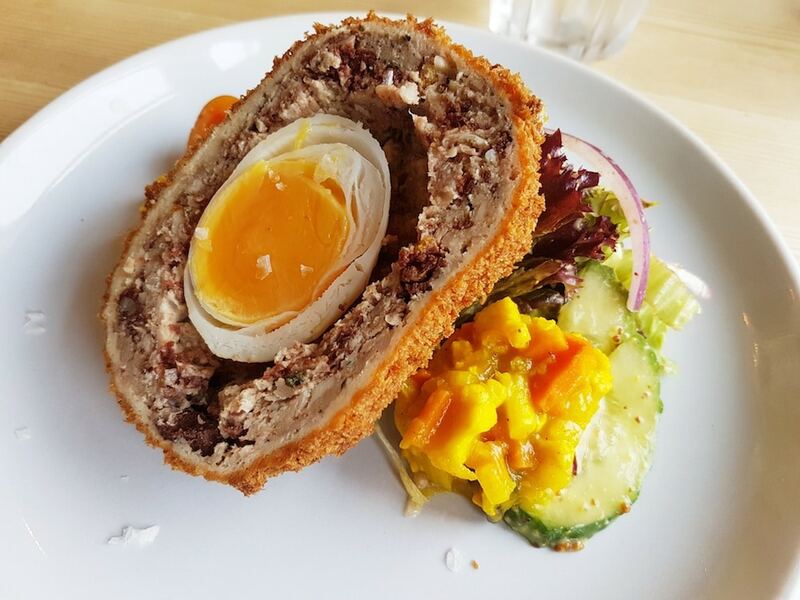 He was delivered half of the biggest scotch egg I’ve ever seen, with an impressively thick coating of black pudding-laced sausage meat. It was chilled rather than warm, which I felt took the edge off the flavour, a little sad as you don’t get a bolder taste than black pudding. I was also slightly disappointed to see that the egg seemed to have been frozen and defrosted. Nonetheless, Andrew described it as very satisfying. It came with a lovely, vibrant yellow, tangy piccalilli and a lightly dressed salad. 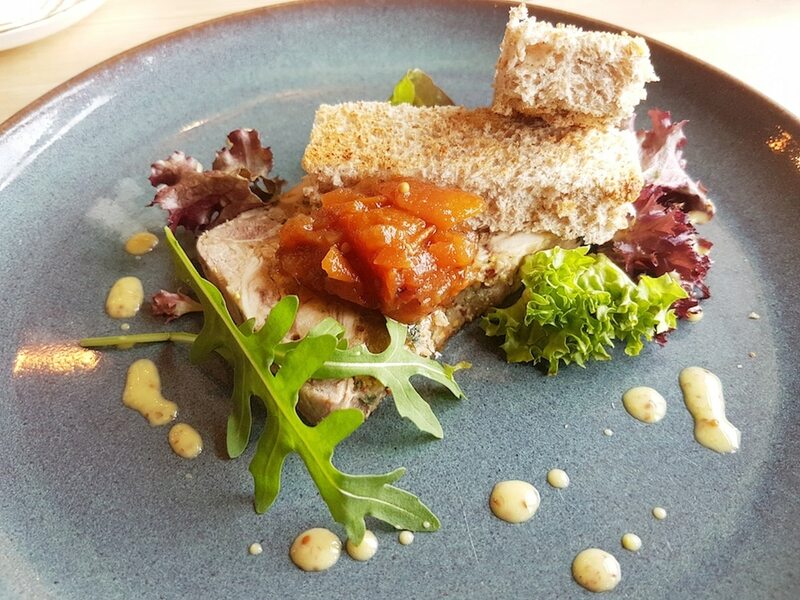 I had the rich, meaty pork terrine with a sharp, sweet tomato chutney and toast. Lamb from 5 miles away! For his main Andrew had the lamb chump steak and it was lush! 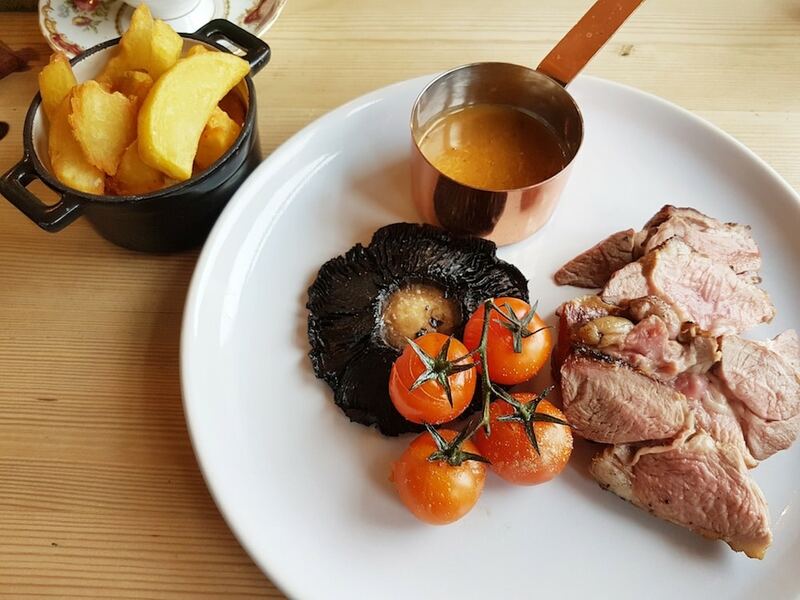 Direct from the farm and beautifully cooked, it was juicy and pink and exquisitely tender and simply the most delicious lamb I have tasted. It came with plump vine tomatoes, a large flat mushroom, and Andrew opted for an indulgent blue cheese sauce and gorgeous, chunky, crispy, hand cut chips (also from the farm). I was determined to try something from the farm too so I went for the beef burger and I wasn’t disappointed. It was mouth-watering! I added extra bacon and cheese but the beef was unarguably the star of the show. The burger came in two halves so required a bit of assembly to pick up. However, I ended up eating it with a knife and fork because the barbecue sauce–soaked bottom half of the bun gave way as I picked it up. A minor inconvenience and instantly forgiven for being so tasty. I also got some of those fabulous chips and some equally spot-on onion rings. With little room to spare, we chose to share a pud and, as Andrew’s a crumble kind of guy, we went for the rhubarb and grenadine crumble. It was sweet and warming with a crunchy topping and a lovely smooth “spoon coating” custard, yum! Whilst struggling to bend to get into the car we resolved to return in the summer. Next time we visit The Sussex Ox, the hot sausage Ploughman’s!